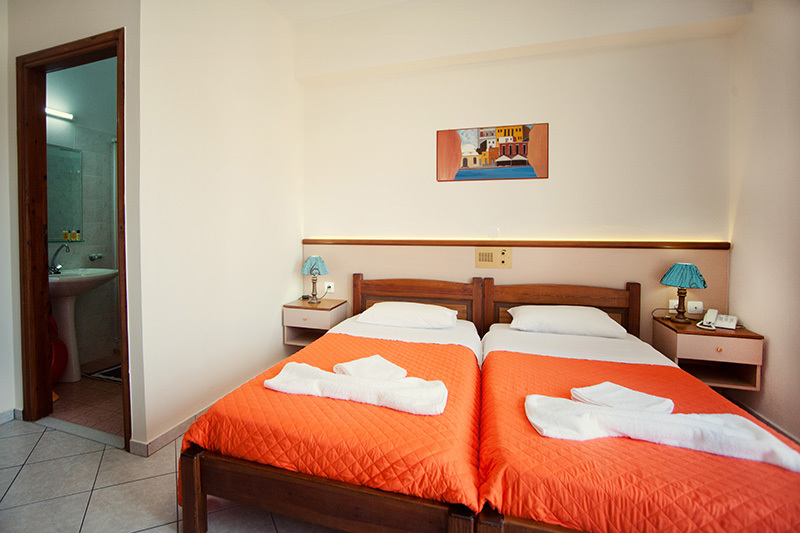 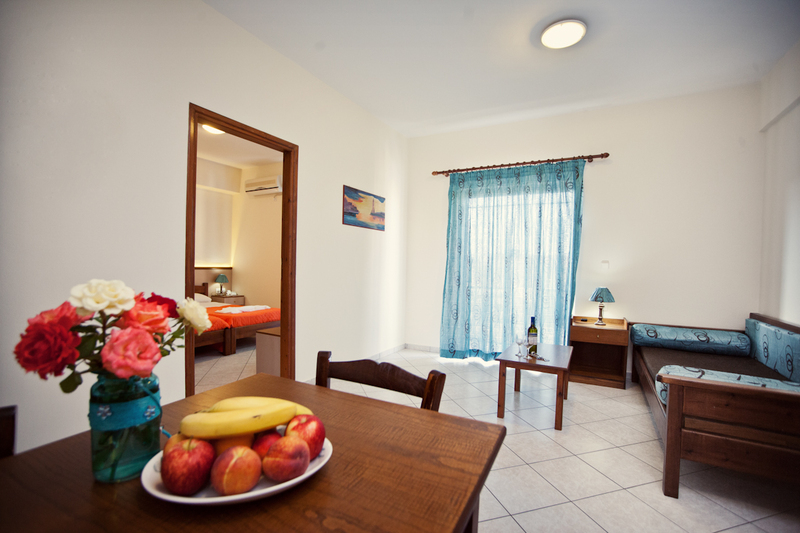 The two-room (one bedroom) apartments are built to meet all the requirements of the Greek Tourism Organization. 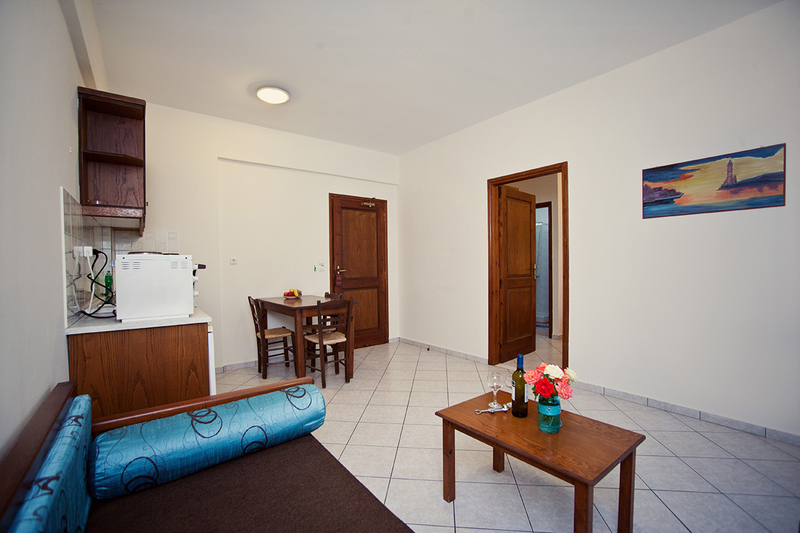 Each Apartment occupy approximately 40m², consist of one bedroom, one living room and one bathroom, and sleep up to 4 persons. 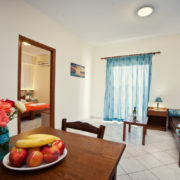 Apartments are spacious and airy with big balconies and view over the pool/gardens on first floor or ground floor depending on the availability upon arrival. 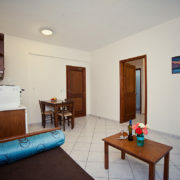 There is wheelchair access on ground floor.